Anxiety In Children: What To Look For? Anxiety in children Dubai: What is Anxiety? 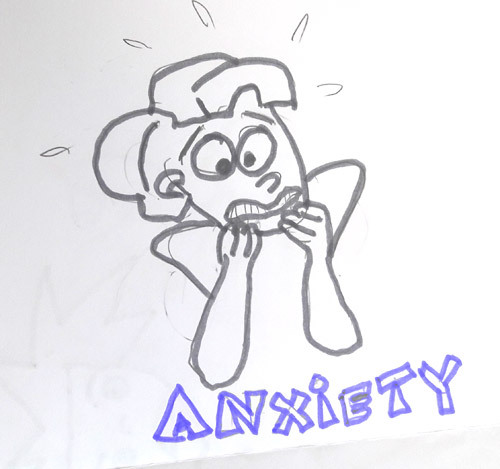 Anxiety in children Dubai: Anxiety, fearfulness, and worrying are regularly experienced as a normal part of growing up. However as your children face new or unfamiliar situations, sometimes fears arise and may become overwhelming. Learning to adapt to changing environments can be hard for your growing kids, especially when rules are different at home, in school, and with friends. This is particularly difficult in Dubai where many different nationalities are involved. This can foster anxieties and fears that can become maladaptive thus harmful and threaten the emotional growth of your child. 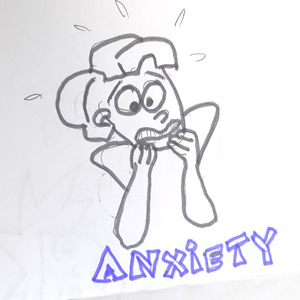 Anxiety is one of the most common diagnoses made at my clinic – whether it is a co-morbid (secondary to a primary cause of learning difficulties) or primary in nature. Several studies have been done to examine the prevalence of anxiety disorders in children. It is the most prevalent psychiatric disorder in youth and can be seen in up to 20% of children (Strauss 1990). It also negatively affects academic performance and social functioning. Finally, childhood anxiety disorders can run a chronic course well into adulthood. It is a common problem facing many children, for many different reasons. So when do these ‘normal’ fears become pathological and merit an intervention? When does one need to seek help? Developmentally normal anxieties initially present at the age of 7 to 8 months when babies become anxious about strangers. Their stranger wariness, seen at 5 to 6 months turns into fear. Parental proximity soothes the baby. Preschoolers fear separation from parents and also develop the fear of the dark, animals, and imaginary situations. Parental reassurance is enough to help them through this period. School-aged children develop more real worries including fears of bodily harm. Social anxieties often develop in teenagers. When anxieties become dissociated from specific situations or events, when they become disabling to the point of interfering with social functioning and academic functioning then they warrant intervention. There are a number of theories about the origins of fears and phobias. The psychoanalytical view postulates that internal conflict that is not expressed leads to anxieties. Social learning theory proposes that fears and anxieties are learned within the context of the child’s environment. Several studies have linked childhood anxieties to excessive maternal worrying and also early mother unresponsiveness to an infant. Depressed anxious parents were also more commonly associated with anxious children. Parenting styles – overprotective parenting, highly controlling parents linked with cold and undemonstrative parents were seen more often in families of anxious children – ‘affection-less control’. Several studies show that environmental stresses especially when linked with a feeling of helplessness or lack of control give rise to anxiety. Environmental stresses include moving and relocation, the marital conflict between parents, death or sickness in the family and change in schools. Anxiety occurs in 70 % of children with dyslexia, ADD and learning problems. How to get medical treatment as well as psychological and behavioral ones in one complete package by clicking here. They have to adapt to new customs and values. They have to deal with different academic standards and curricular that may lead to a drop in academic performance. Parents need to prepare children well in advance of any move and allow them to express any unhappy feelings or misgivings. Visits to their new home prior to the move are useful. Exchange of letters or mails with old friends should be encouraged. Parents should assist the entry of their children into the new community. Josh was verbal and bright 12-year-old. He sat across the table and told me about all the fears he had. He panicked when there were clouds in the sky and when the sun peeked out of the clouds. 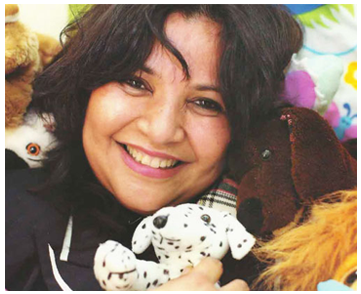 He was frightened of soft toys particularly teddy bears and staying alone in the room. He had nightmares that his parents were dying. He constantly called up his mother when she left the house to check on her. He could not sleep alone and needed to share his bed with his parents. School phobia occurs in 2 % of all children. Shalini was an 8-year-old girl, who presented at the clinic with school refusal since two weeks. She was a shy child with few friends. She was average in her studies but did not like maths. She had a cold and cough for the first 3 days but after that, she refused to go back to school even though she was well enough. No amount of coaxing or cajoling by her parents helped. She clung to the door or her bed and often parents dragged her out to the waiting bus. Finally, the mother agreed to work in the library on a voluntary basis to get her child to agree to go to school. Even then she often complained of stomachaches or headaches and tried to get sent home by the school doctor. Reem was an 18-year-old young lady who would not leave the house. She had had severe and disfiguring acne but this had been treated and was now not too bad. Even so, she hid in the bathroom whenever there were visitors in the house. She refused to attend her sister’s wedding. She stopped going to college because she could not bear to meet with people. 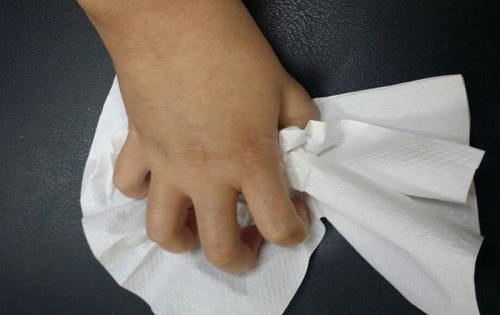 At family gatherings, her hand shook so much that she could not hold a cup of tea. She said that her mouth was so dry that she could not speak with her cousins. She gradually stopped attending any social functions and the only outing she had was going for a drive with her mother. Hamad was 14 years and had difficulty with reading and writing. He was very religious and prayed several times a day. He felt junk food was ‘haram’ and only ate fresh vegetables and fruits. He washed his hands frequently and also had numerous baths in a day. He insisted on opening and shutting the door 3 times before he went out. He also had images of war that he tried to suppress but could not. Rhoda was a very intelligent teenager who always got A in her tests. She was hardworking and diligent and spent hours in her room studying. She was quiet and reserved in class. She worried excessively about her grades and felt she was going to fail if she did not study. She worried about the future especially about getting a good job. She could not speak in front of the class without feeling a sensation of choking. She was very conscious of her weight and would not go out if she felt her clothes were not perfect. She actually came to the clinic for attempted suicide and also had Major Depressive Disorder. If you like what you have seen or read about anxiety in children Dubai, please share it with your friends by clicking on one of the social media buttons below.